I source and update the information for my Status of Plastic Bans Worldwide from many places. (Just last week I added an entry about UK schools being strongly “encouraged” to stop using single-use plastics.) But one of the most useful sites for my updates is EcoWatch and, for their end of the year wrap up, they posted “2018: A Year of Fighting Plastic Waste.” In my own end of the year post last week, “EcoOptimistic News for the End of an Environmentally Crappy Year,” I included single-use plastics as one of the leading topics, so obviously I agree with them. There was plenty of news on other environmental fronts, as I wrote in that post. Most notably, climate change took a beating under our rogue president, but that beating, as I’ve been noting in several posts (here and here), has engendered a backlash in which other institutions (local governments, NGOs, businesses and even the military) have been taking up the mantle. Similarly, the rapidly increasing awareness of the scale of our plastics problem has resulted in a correspondingly rapid escalation of attempts to address the problem. Hence my continuing tabulation of the bans and taxes worldwide on single-use plastics – and my desire to acknowledge EcoWatch for their reporting. [S]ome people asked me, “So what should we use instead?” The right question is, “How should we live?” But systemic thinking is an endangered species. The version of this I usually pose in my classes asks: if you were tasked with challenging the plastic waste generated by toothbrushes, what would you do? The usual answers are to make it of recycled plastic or biodegradable plastic or design it with replaceable heads, etc. But the “right” question to ask, instead, is: is there a better way to clean our teeth? This opens up a different realm of possibilities in which, maybe, we don’t need toothbrushes at all. The second point Monbiot makes is a “structural” one. In the case of plastics and many other materials, the solution to waste, we’re told, is to recycle. But as I and others have written, this puts the responsibility in the wrong hands, purposely shifting it from corporations to consumers, i.e. us. Following the failure of legislation loose alliance of oil and chemical companies, along with drinks and packaging manufacturers, pursued a two-part strategy that would successfully defuse anti-plastic sentiment for a generation. The first part of the strategy was to shift responsibility for litter and waste from companies to consumers. Rather than blaming the companies that had promoted disposable packaging and made millions along the way, these same companies argued that irresponsible individuals were the real problem. This argument was epitomised by a 1965 editorial in a US packaging trade journal headlined “Guns Don’t Kill People”, which blamed “the litterbugs who abuse our countryside” rather than the manufacturers themselves. 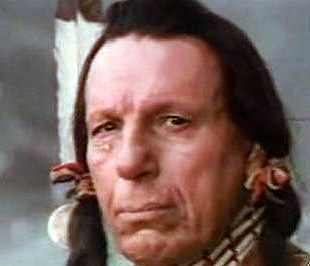 This was memorialized in the famous “Crying Indian” television commercial in which the supposed Indian (he was actually Italian) sheds a tear about littering, saying “People start pollution; people can stop it.” Corporations may be considered people, but that’s obviously not whom the makers of the commercial were referring to. This represents the mistaken belief that a better form of consumerism will save the planet. The problems we face are structural: a political system captured by commercial interests, and an economic system that seeks endless growth. Of course we should try to minimise our own impacts, but we cannot confront these forces merely by “taking responsibility” for what we consume. One-planet living means not only seeking to reduce our own consumption, but also mobilising against the system that promotes the great tide of junk. This means fighting corporate power, changing political outcomes and challenging the growth-based, world-consuming system we call capitalism. Disposable coffee cups made from new materials are not just a non-solution: they are a perpetuation of the problem. Defending the planet means changing the world. While this would appear to negate much of what we are doing, the more profound questioning leads to EcoOptimistic responses that look at how to not simply address a problem in short-term, limited ways, but instead to change things – concepts, systems, thinking (i.e. systems thinking) – to get to the core and truly address causes. You could look at this as a New Year’s resolution for us: challenge ourselves to challenge the others who create problems by selfishly shifting responsibility. Many of us make resolutions to go the gym more often. The problem is that, aside from rapidly letting the well-intended resolution fall by the wayside, it doesn’t really address the causes of the problem such as fast food (which is largely a creation of big business) and sedentary lifestyles, which are in part of product of suburban sprawl (sitting in cars) and in-home entertainment. You could make an argument that cars, television and single-use plastics are a result of consumer demand, but what created and then encouraged that demand? This entry was posted in Economics, Natural Resources, Policy, Waste and tagged consumption, ecowatch, George Monbiot, Lloyd Alter, plastics, systems, The Guardian, Treehugger on December 31, 2018 by David Bergman.